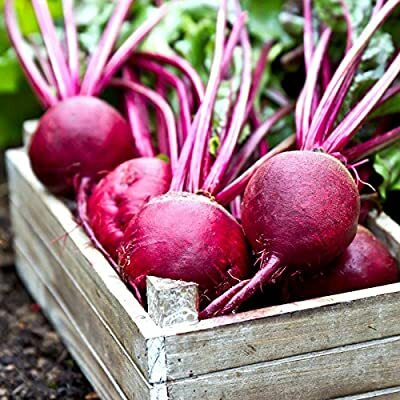 Ruby Queen Beet Garden Seeds. Beta vulgaris. Ruby Queen Beet thrives in even poor soils, producing smooth, dark red globes 3 inches in diameter. Popular for canning, and used for its pigment uses. Dark green leaves with maroon edges flourish during late summer. Height - 10 to 12 inches. Spacing - 3 to 4 inches. Spread - 10 inches. Planting Depth - 1/2 inch. Eat beet tops before any sign of wilting for maximum flavor. Vinegar pairs well with beets. In most cases, the smaller the beet, the sweeter; the larger the beet, the more earthy the beet will taste. Walnut oil pairs very well with warm beets. To minimize the beet color from excessive bleeding leave the stem plug in place and skin on while cooking. Approx. 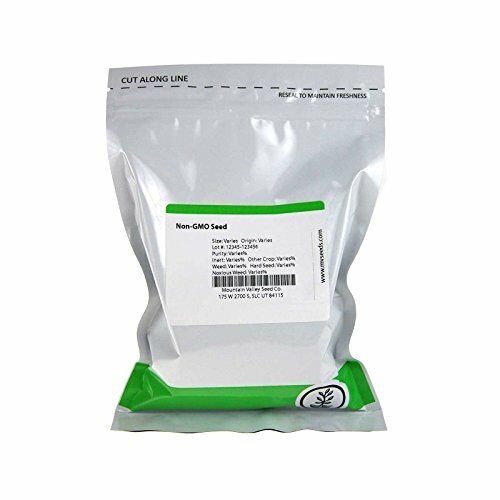 1,200 seeds/oz.